Northwest of Amsterdam is the large, tranquil beach of IJmuiden. And then straight to the city, where you'll be overwhelmed by the beauty of this unique capital. 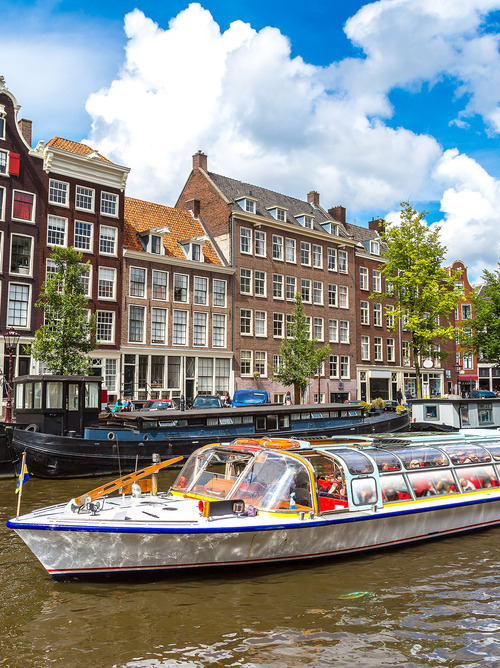 Amsterdam was once a small fishing village that developed due to the various influences it came under. Today, the city is an international destination for tourism and culture. 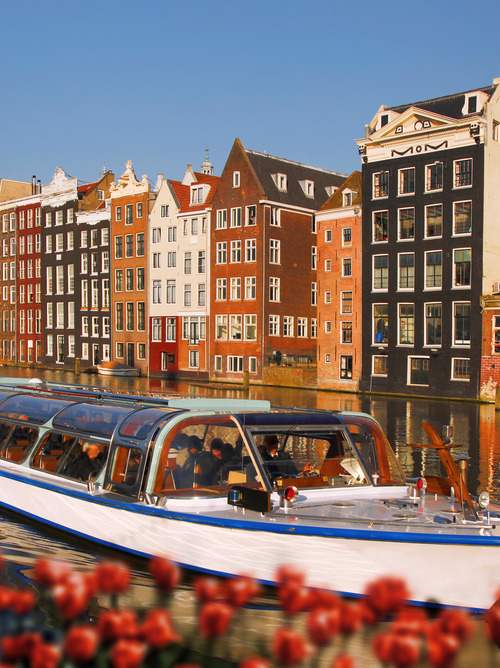 As soon as you arrive at the port of Amsterdam, you'll sense the contagious atmosphere that pervades it and the culture of sharing. Spend some time visiting the Gothic church of Nieuwe Kerk and then dive into the past by visiting the Anne Frank House in the Grachtengordel district. Complete your visit with a walk in the Oud-West district, with its bars and its characteristic "Brown Cafés".